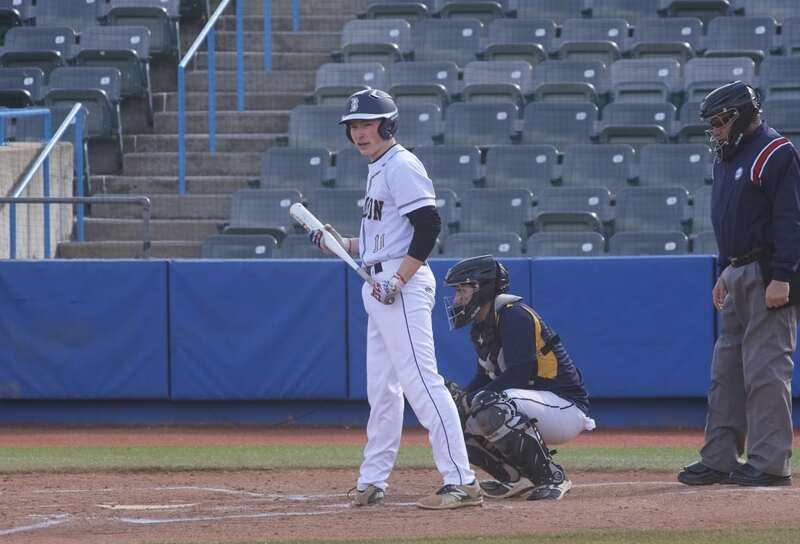 The Bulldogs, who finished the regular season 12-8 and were seeded eighth in the Section 1, Class B tournament, were upended in the first round at Dutchess Stadium by No. 9 Tappan Zee, 5-3. 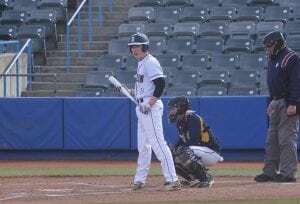 Andrew Schneider looks for the sign from third during Beacon’s victory over Pelham on April 5. Seeded No. 16 in Section 1, Class C, the softball team won a qualifying game against Lincoln, 16-13, on May 18. Savannah Mora had five hits, five stolen bases and 2 RBIs. 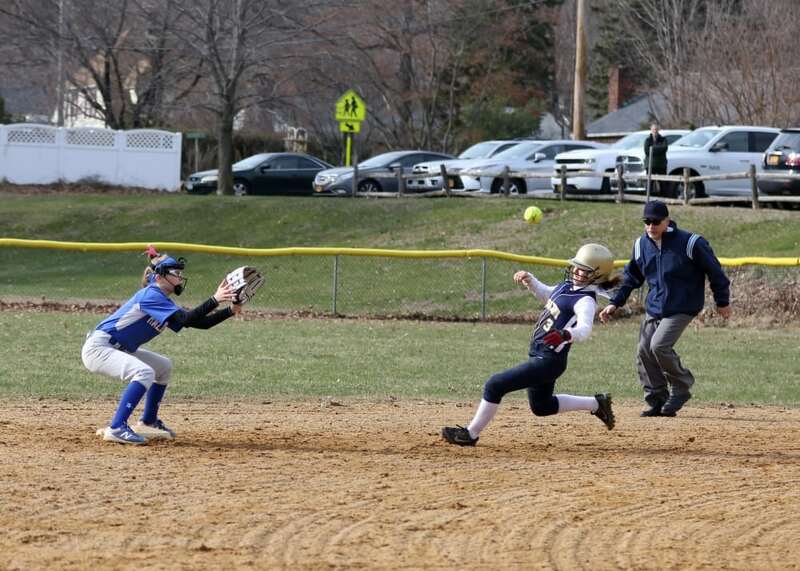 The Bulldogs played in the first round later that same day and lost to top-seeded Ardsley, 17-0, to finish 11-11 on the season. 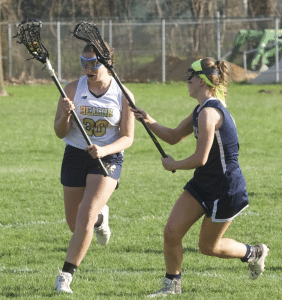 The girls’ lacrosse team, which finished 2-12, did not earn a playoff berth. The track and field team will host the Section 1, Class B championships today (May 25) at the high school. On May 21, the girls’ team finished second in the Northern County Championships, behind Arlington. Junior Georgy Bekh, who last year was named to the Poughkeepsie Journal All-Star Team, qualified for sectionals but did not reach the championship round. The boys’ team finished 11-5.